Abstract : Motion blur is crucial for high-quality rendering but is also very expensive. Our first contribution is a frequency analysis of motion-blurred scenes, including moving objects, specular reflections, and shadows. We show that motion induces a shear in the frequency domain, and that the spectrum of moving scenes is usually contained in a wedge. 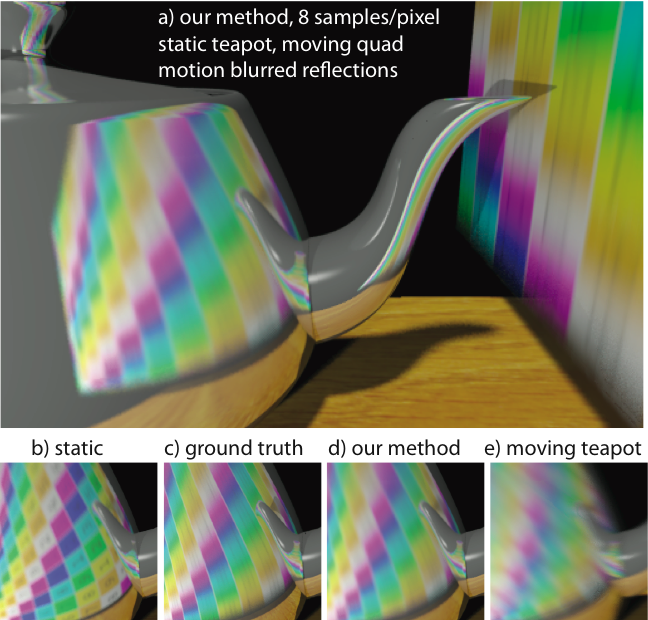 This allows us to compute adaptive space-time sampling rates, to accelerate rendering. For uniform velocities and standard axis-aligned reconstruction, we show that the product of spatial and temporal bandlimits or sampling rates is constant, independent of velocity. Our second contribution is a novel sheared reconstruction filter that tightly packs the wedge of frequencies in the Fourier domain, and enables even lower sampling rates. 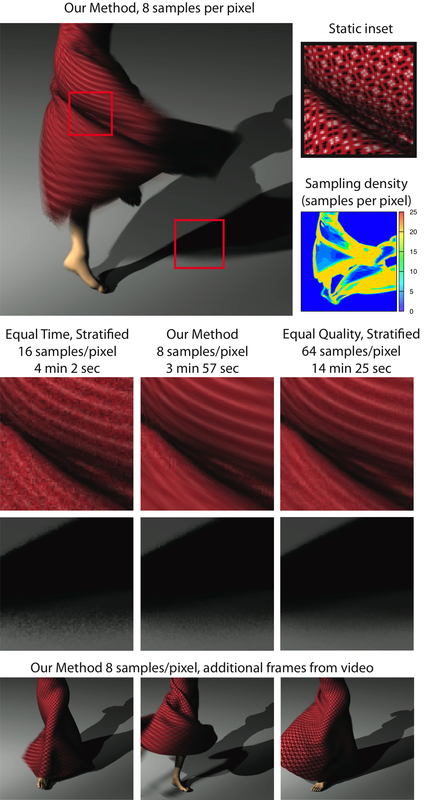 We present a rendering algorithm that computes a sheared reconstruction filter per pixel, without any intermediate Fourier representation. This often permits synthesis of motion-blurred images with far fewer rendering samples than standard techniques require.